Syllabus of the Online Course (Subject): Customs Procedures (Foreign Trade). Origin of goods. 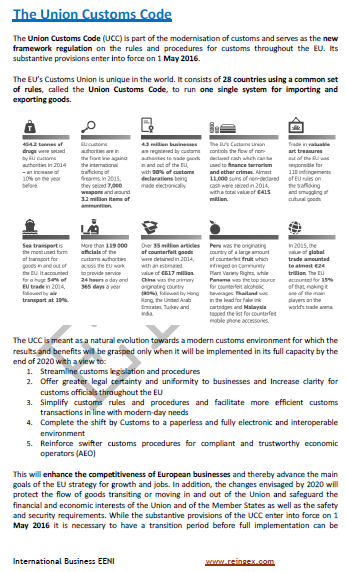 Customs Legislation. In addition, we are going to studying the importing products process into the European Union. Credits of the Online Course / Subject “Customs Procedures”: 4 ECTS. 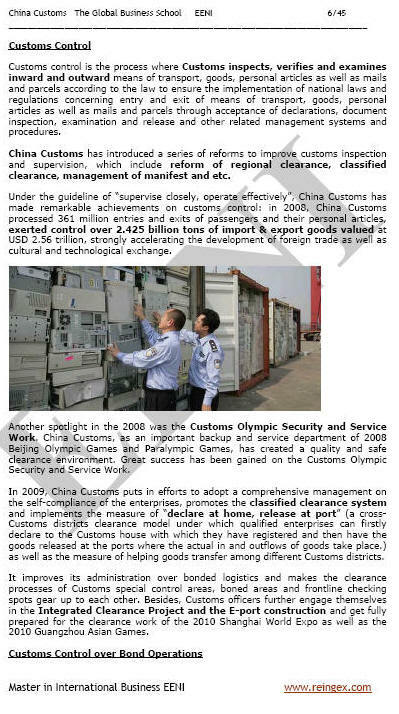 Description of the Online Course: Customs Procedures. In this subject; we will study the functioning of customs authorities, customs procedures and the various duties imposed by Customs. When products arrive at the European Union (EU) to be imported; they are inspected and checked by the customs authorities until a relevant customs procedure for these products is established. The products may be taken to be stored in a customs warehouse without payment of import duties or being re-exported. The responsible for taking the products through the customs is the carrier. When products arrive at the European Union; they must be taken to the customs authorities for inspection. 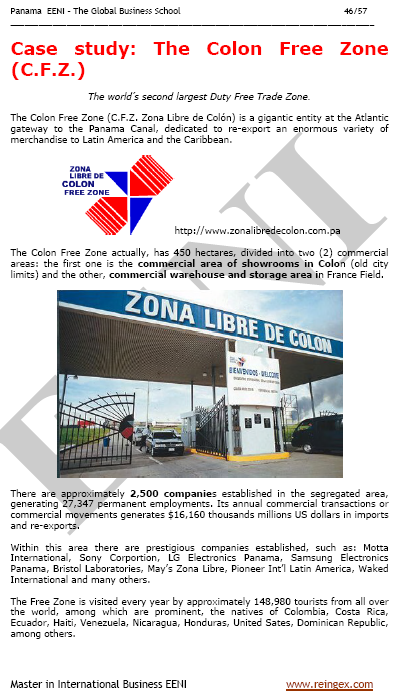 This is done by presenting a declaration, which contains all necessary information for product identification. Without the declaration, the products cannot be cleared (unless under an express authorisation). 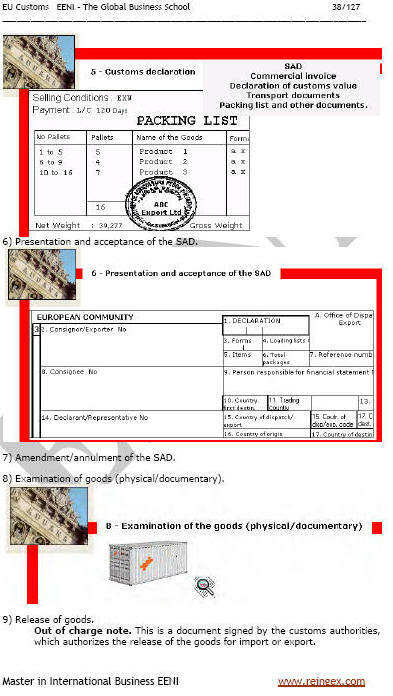 The Single Administrative Document (SAD) is the declaration form used in the European Union for declaring products for any of customs procedures. The declaration must be made by the importer/exporter or the agent. The declarant must sign the Single Administrative Document. The Value-added Tax (VAT) is chargeable on imported products in addition to any customs and excise duties to which the products may be liable. ATA is a system enabling free movement of export products across frontiers and their temporary admission into a customs territory with release from duties and taxes. The export products are covered with only one document: ATA carnet. Dumping is the practice of selling a product in a foreign market at an unfairly low price (a price which is lower than the cost in the home market, or lower than production cost) to gain a competitive advantage over other exporters. Dumping is considered an unfair trade practice under the General Agreement on Tariffs and Trade and World Trade Organisation agreements. 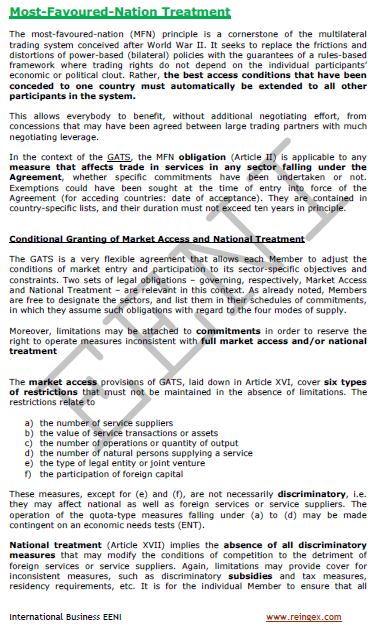 National governments regulate dumping through the imposition of anti-dumping duties. Customs and integration in Asia. Customs and integration in Europe. Customs and integration in Latin America. 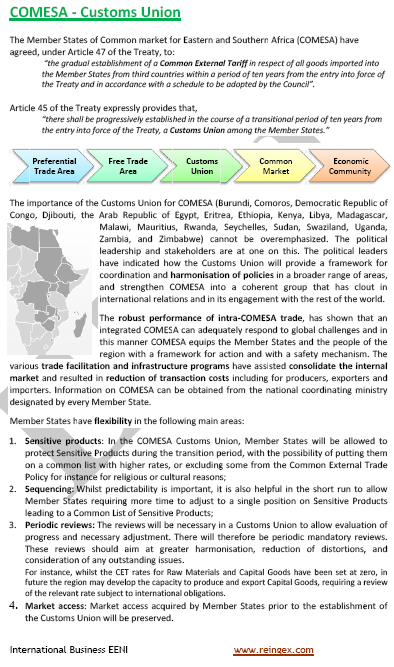 Customs and integration in Africa and the Middle East.